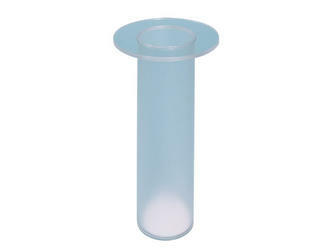 The Well Insert is included with the purchase of any Atomlab Dose Calibrator. The durable, clear cast acrylic insert is designed to protect the chamber from contamination and can be easily removed for cleaning. The insert will fit any well chamber with 2.5" x 10" interior dimension. Keep a spare on hand for use while the other insert is being decontaminated.